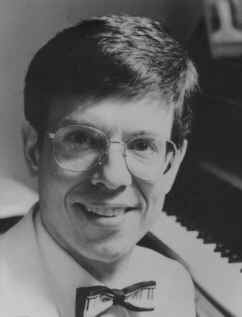 Born in Dover, New Hampshire and raised in New York City, where he attended the Juilliard School of Music, Terry Hammond has worked professionally in the field of popular music, theater and the classical arts, serving as composer, lyricist, author, arranger, conductor, stage director, actor, piano soloist, vocalist, lecturer, teacher and performer on both sides of the Atlantic. He is a member of Broadcast Music, Inc. and the Dramatists Guild in New York City. The youngest composer/lyricist accepted into the Broadcast Music, Inc. Musical Theater Workshop, under veteran Broadway conductor, Lehman Engel. Composed opera, 'The Friend,' which was presented at Lincoln Center by the Interstate Opera Association, receiving favorable reviews from the New York Times. Producer, Director and Headliner for the Encore Supper Club in London's posh Mayfair. Founded the Terry Hammond Theatrical Corporation, our parent company, which continues to provide the private and corporate communities with top live entertainment. Composed 'Requiem,' which was premiered with orchestra, choir and soloists at Cason United Methodist Church. Accepted position of Music Director at the Fort Lauderdale Church of Religious Science. Wrote the score for the musical 'Beach Blanket Baby,' which was produced by the Public Theater in South Florida. Over the years I have enjoyed an exciting career in the performing arts . . . a field in which I have worn many hats. Ultimately I consider my greatest contribution to be as a composer and lyricist. This is where I believe I have been most blessed. The primary focus of my artistic energy is now directed towards the ongoing creation and performance of my individual songs . . . and just as importantly, the production of my stage works for the musical theater and the opera house. Another area of focus that has my attention is one that has, surprisingly, been overlooked over the years, because so much of my energies have been given over to the medium of performance. I am referring to the documentation of my work by means of recordings . . . and published music. I am now working to make available a variety of these products. Watch for them on our Website Catalogue. In the months ahead, as all of these plans continue to unfold, you will be kept up to date by accessing terryhammond.com.